Idea Cellular has been caught in the loop of corporate and legal proceeding thanks to its impending merger with Vodafone India. The Kumar Mangalam Birla led telco has slowed down in the competition owing to the fact. However, amidst all the business, Idea Cellular has managed to launch a new plan to please the voice-only customers of the telco. Even though a large population uses data bundle plans, some users are limited to voice only usage. 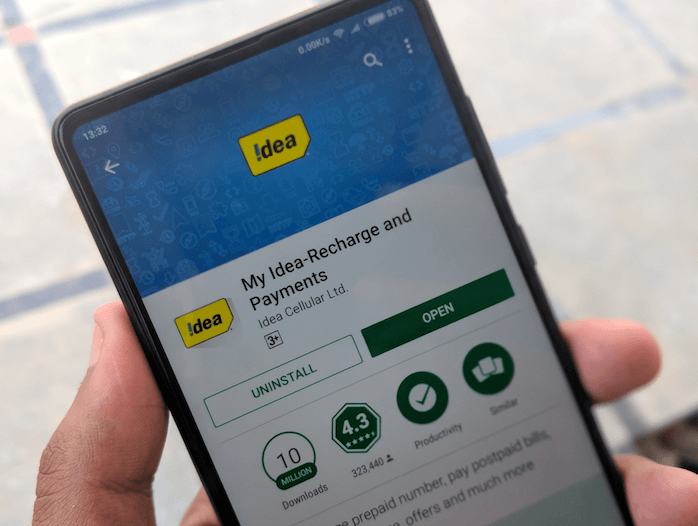 To cater to this crowd and to take on the likes of Airtel and BSNL which have launched Rs 249 and Rs 99 voice only plans, Idea has launched the Rs 149 plan. Besides from voice calling, the telco also offers 100 free SMS benefits to its subscribers. Speaking of the details of the plan, the Rs 149 plan by Idea offers unlimited voice calls (local, national & roaming), however, the voice calling is capped at 250 minutes per day and 1000 minutes per week and the calls should be made to only 100 unique numbers during the validity period. After exhausting the limit, users are charged at 1 paise per second. The plan comes with 21 days of validity and it also offers 100 SMS. In this segment, Bharti Airtel has also launched it new plan of Rs 299 which offers voice only benefits. The plan by Airtel is valid for 45 days and it includes 100 bundled SMS. BSNL is also another telco offering voice only plans which are Rs 99 plan and Rs 319 plan. These plans also offer free caller tune service (PRBT). Aforementioned, this plan doesn’t come with any data benefit or such, but Idea states that the customers are free to recharge any data pack on top of this plan. For example, users on the Rs 149 plan can recharge with the Rs 92 plan that offers 6GB of data for a period of seven days. Instead, Idea users can also recharge with the Rs 199 prepaid unlimited combo plan to get the benefits of 1.4GB data per day, 100 SMS per day and unlimited voice calls with the same FUP cap mentioned above. Recently, Airtel unveiled a Rs 299 prepaid voice-calling plan, under which the leading telco is offering unlimited voice calls and 100 SMS per day for 45 days. Maybe, Idea Cellular will also come up with a similar plan like Airtel of Rs 299. BSNL is still leading in the voice only tariff plans segment with the Rs 99 and Rs 319 plans as they offer unlimited voice calls without any limit for 28 days and 90 days respectively. Update:::: idea pays 7300 crore to DOT “under protest” yesterday and company has confirm payment via press release. Formal merger approval expected within 1-2 days . Best of luck Vodafone idea Ltd…. As always “Kanjus” idea plan cutting down validity to just 21 days.